One example that people heard a lot of in the 1980’s was Equidistant Letter Spacing (ELS), often called the Bible Code. The original Hebrew text was written as a string of consonants, without the chapter and paragraph designations we take for granted today. There wasn’t even punctuation to break up this stream of letters. Throughout the centuries, Rabbis noticed that the text contained hidden knowledge when letters were chosen in a systematic pattern (such as choosing every fifth letter). With the invention of computers, this technique has exploded with some pretty impressive results. as well as the individual names of each of the twelve apostles. It is insanity to contemplate the probability that one small chapter would contain so many textual references to an actual event occurring centuries in the future! To code so much into such a small grouping of letters AND STILL MAINTAIN A COHESIVE SURFACE TEXT, is outside the realm of human ability. 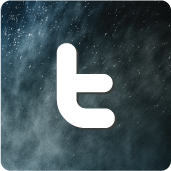 The inescapable conclusion is that a Super-intellect (Holy Spirit) inspired the text. Here’s another one that I love. It has to do with the image at the top of this article. We all know from the world around us what Hebrew letters look like. But what we know today is a script formed during the Jewish exile to Babylon. 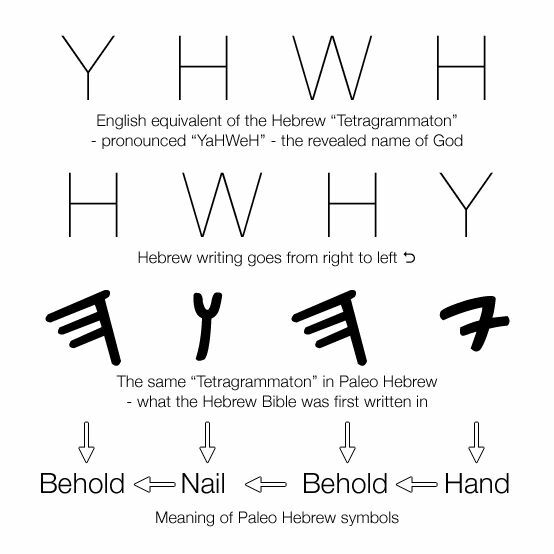 Before then, Hebrew letters were formed from an ancient pattern that represented both letters (i.e., identified sounds) and pictographs. The form of the letters dated back to paleo-Hebrew pictures that had been used for communication. Where this becomes really interesting is when we look at Moses’s encounter with God in the desert. He asked the Lord His name. The response was “Yahweh,” formed by the Hebrew letters yod-hey-vav-hey. A translation of that phrase is “I am who I am,” which connotes the eternal unchanging nature of God. But when written in the original paleo-Hebrew script, a deeper connotation emerges. The pictogram of the letter yod was a hand. 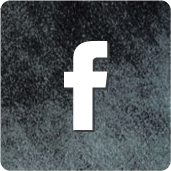 The pictogram of the letter hey was a flourish that meant, “Behold” or “pay attention to this.” And the pictogram of the vav was a nail. 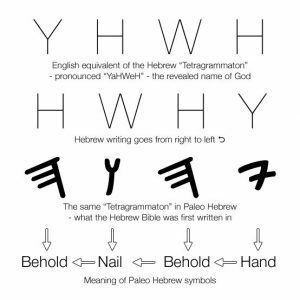 In the paleo-Hebrew script, God is spelled “Behold the hand. Behold the nail.” The simple use of these letters sends a message throughout all time pointing to Jesus as God. Incredible, isn’t it? There is no way Moses could have known to incorporate this into his writings … but the Holy Spirit acted in a way to show us even in this day and age an evidence of intelligent design for this text that goes beyond the ability of humanity. Sometimes I just shake my head in awe!